The Glebe4 project includes four elements of a regenerated site in inner west Sydney – The Foreshore Walk, Jubilee Park, The Crescent and the new open space at Harold Park with heritage adaptation of the Grandstand and Bellevue Villa. This project has repaired industrial land and reclaimed harbour areas since 2007 in a highly urbanised precinct that was locked away from public access for more than a century. Combined, these form the western most segment of the City of Sydney’s planned harbour foreshore walk from Woolloomooloo to Rozelle. 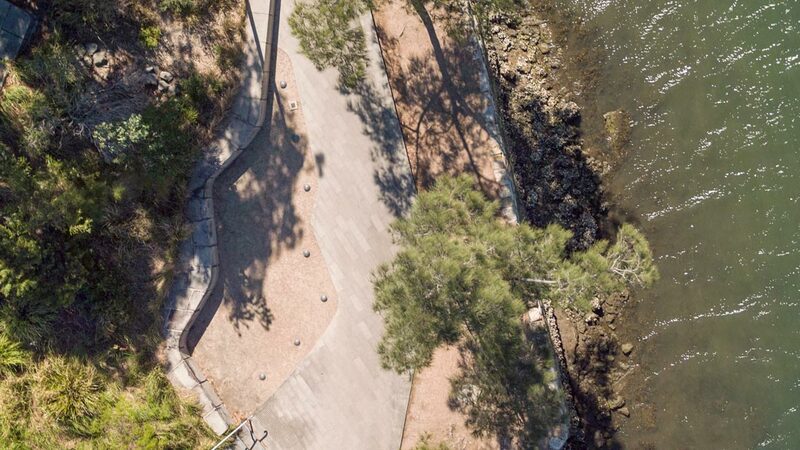 The four interconnected projects delivered for the client City of Sydney over thirteen years, have returned the foreshore of Glebe to the public, achieving recreational, environmental, urban and heritage outcomes by knitting together disparate open spaces, by restoring existing parkland, and by providing a significant new park. 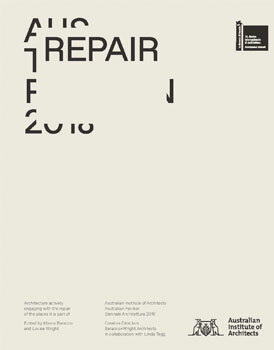 The projects have repaired the precinct in multiple ways: regenerating foreshore brownfield areas and archeological sites; introducing a clear circulation network for pedestrian and cyclists; inserting mangroves and intertidal habitats on an area of reclaimed land; building a new beach, water stairs for access and small boat launching; creating a generous foreshore walk that preserves existing fabric and anticipates sea level rise; providing terrestrial habitat; building on-site stormwater treatment; restoring and adapting a foreshore heritage villa and a nineteenth century grandstand. It has also provided passive recreation, a skate park, playgrounds, barbecue facilities and picnic shelters. The presentation of a coastal edge is a reflection of a repair project required in many of the urban and post industrial sites in Australia. Sydney Harbour foreshore has suffered privatisation, industrialisation and reclamation for over 200 years. 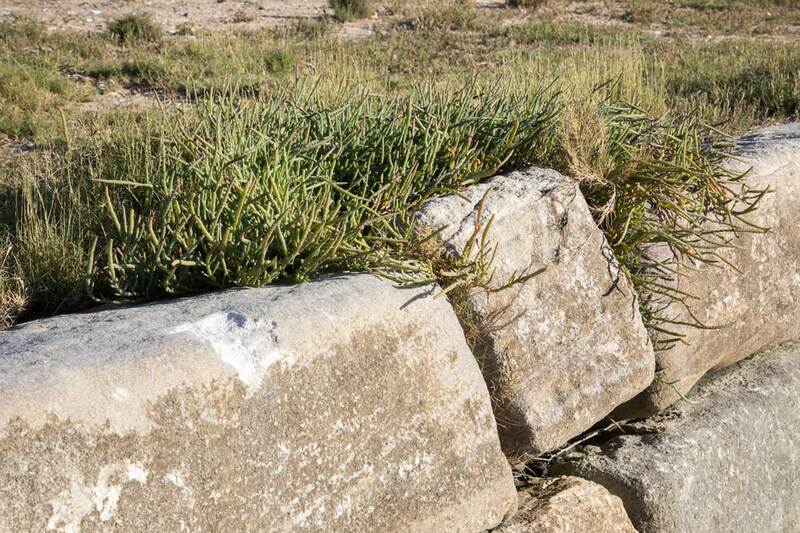 This new and dynamic edge mitigates the negative effects of this history, to reconnect to a broader landscape and systems. Through The Forsehore Walk in particular, many sites are regenerated, ranging from the micro scale of sites such as small areas of tidal inundation that have allowed salt marsh to flourish, to the macro scale of the precinct with its streets, buildings and infrastructure. Various ecosystems, stormwater infrastructure and circulation networks were patched, repaired, infilled and reconnected – largely through built fabric of the extended area. Flooding issues were contained and turned into habitat opportunity, soils were remediated, walls were repaired, cliffs stabilised, contamination capped and contained. Water stairs were introduced where sand naturally accumulates, walls deflect to make way for existing trees, resting spots and material variations are located where the sea wall changes direction, construction technique or form. The existing site materiality that has built up over time is kept with new layers added allowing the historical stratification to remain. 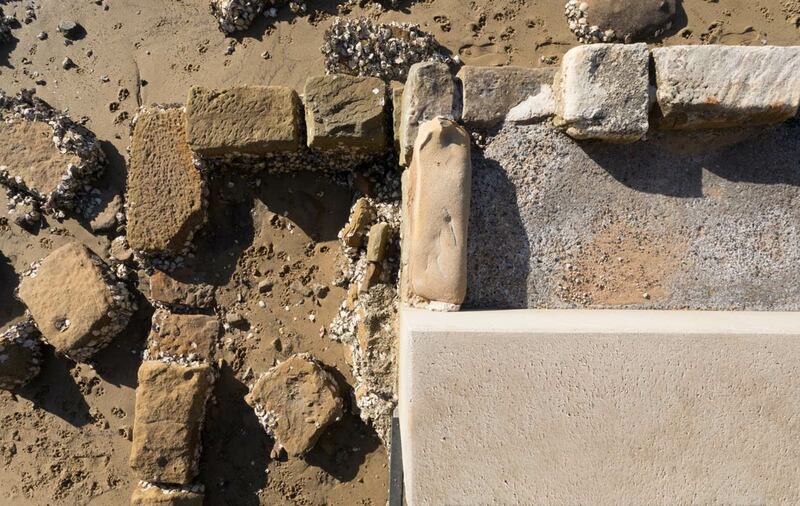 Paths’ orientations, junctions and changes in direction are designed to draw attention to the rich variety of micro detail, whether sandstone rock shelves below the high tide mark, remnants of industrial concrete, or the cliff and its repair. Where a new seawall was required and there was no option but to use a vertical wall, the precast units were designed with shelves and recesses to trap water between tides to encourage colonisation. 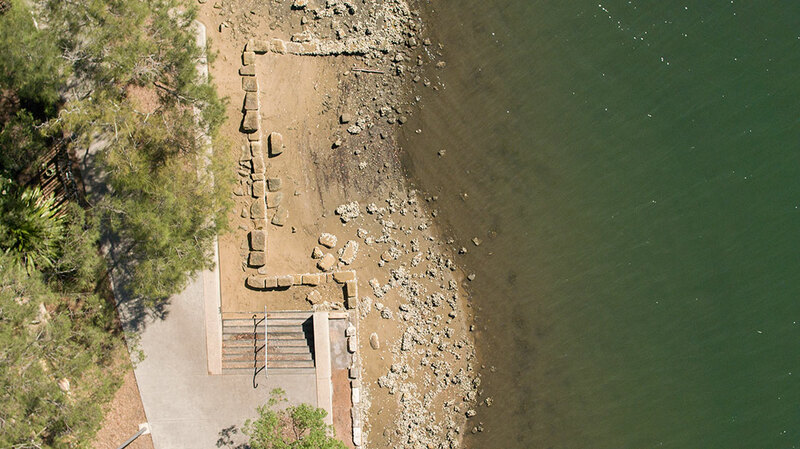 Providing the only artificial mangrove environment in Sydney Harbour, the project builds and restores marine intertidal and terrestrial habitat to connect with larger systems including harbour and foreshore areas, riparian zones and sea level change. Plants are grown from local seeds in the community nursery connecting at the social scale and at the Sydney Basin Flora scale ensuring genetic diversity. Stormwater at the catchment level was addressed through a variety of measures to clean water and control flood paths whilst generating public space. Mature fig trees were lifted from toxic soils and replanted, site excavated sandstone made soils for autochthonous species grown by the community nursery, shallow gradients were reintroduced to the intertidal zones to build habitats. New sea stairs provide access to previously inaccessible small beaches. A new beach was built that allows small boat and canoe launching bringing back a diversity of craft to a harbour dominated by large motorboats. Industrial heritage was repaired and valued, storm water was cleaned by the use of rain gardens, and terrestrial habitats were repaired by the introduction of shrub layers to allow for small birds, animals and plants. The project connects physically to the broad scale site outside the boundary including various areas and ecosystems: Sydney Harbour and its ecology, tidal range, mud flats, mangroves and foreshore; the freshwater system of Johnstons Creek and the urban stormwater infrastructure with its nineteenth century canalisation; the terrestrial ecology of sandstone and clay with its endemic species and small birds; the nineteenth century industrial landscape and urban form of Glebe and Annandale suburbs; and the surrounding open space network of recreational demand and social interaction. The project provides paths, cycle routes and hitherto missing connections to streets encouraging walking to promote health and well-being, creating a diversity of transport options and allowing the system to operate more legibly. 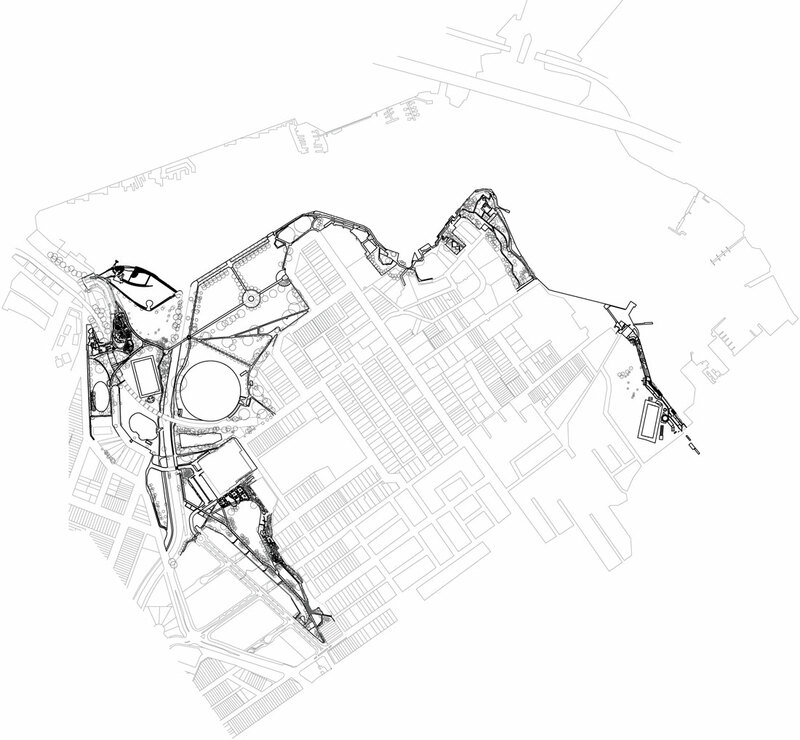 At an urban scale this project responds to the increased need for connectivity between open space and the urban fabric.